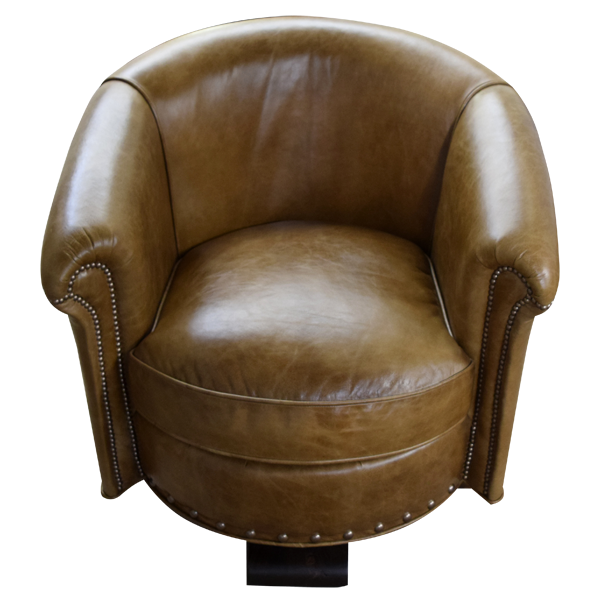 The shape of this handcrafted barrel chair is comfortable, and it can be upholstered to accommodate any look from classic to contemporary. 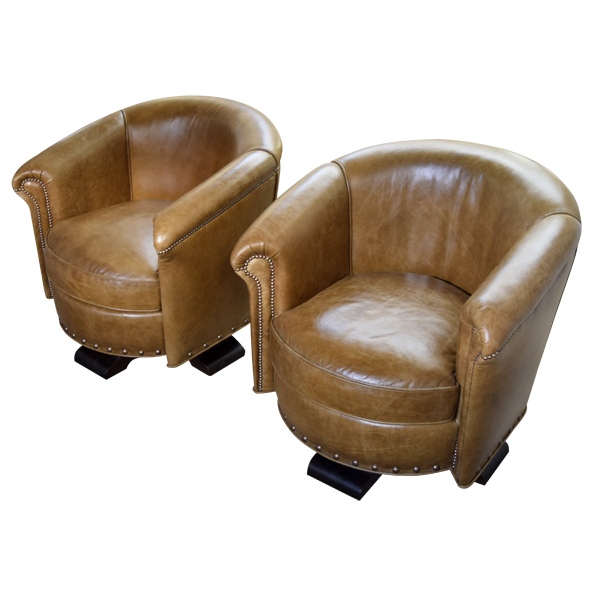 This vintage style barrel chair is also extremely comfortable due to its horseshoe shape and extra padded cushion and body. 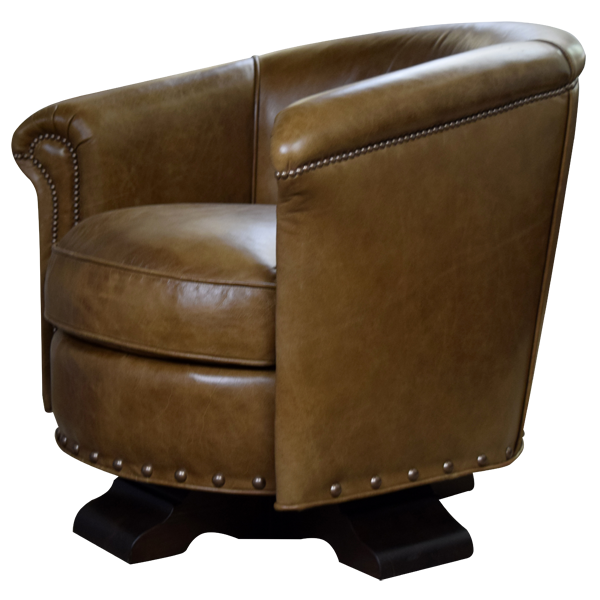 The chair is upholstered with the best quality full grain leather, from top to bottom. The upholstery is precision hand tacked with wider nails on the lower rim of the chair, and smaller nails on the armrest. 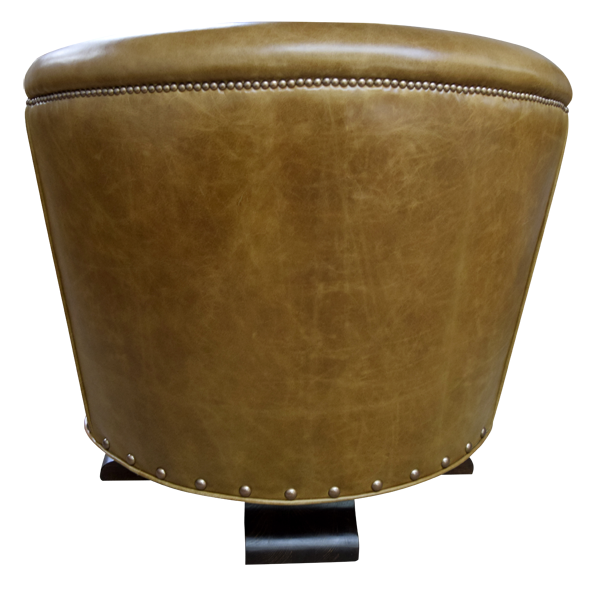 The wide cushion, along with all of the leather in the chair, is double stitched for extra strength and durability. The entire chair rest on a durable quadripartite revolving support. The chair is guarantee for life and is 100% customizable.